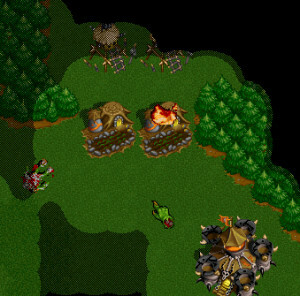 Heres the scenario: You are powering 9 with a cat ip and opponent starts to tower you. You cant save the farms by repairing and you dont have much res. 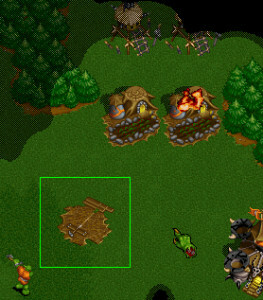 Build a rax and the towers will start attack the the rax instead of the farms. Get your cat out and kill those towers.